Golf Cart Batteries have been around for decades, but their consumption is increasing rapidly. As we enter the age of Lithium-ion batteries will we witness the end of the traditional lead-acid golf cart battery? Find out all you need to know about golf cart batteries and stay up to date with the latest news from around the world that is battery related. With 7% of the Australian population golfing, the number of people traversing the courses of the country is growing every day. As more people hit the course, it puts a higher demand on golf cart batteries. It’s important to use electric golf carts with rechargeable batteries to enjoy golf without increasing our carbon footprint. However, you need to make sure you know when to recharge your batteries. Here are six signs to look for when batteries need replacing. Just like any rechargeable battery, the repeated cycles of draining and charging your battery can take a toll on it. Batteries are made up of chemicals that have a specific shelf life. When used a lot, they won’t give you the kind of power they did when they were new. Your charger will be doing everything it can to hit those maximum power levels regardless of how old your battery is. Your golf cart could find itself taking longer and longer to charge whenever the battery dies. At the very least, your golf cart should be able to last through the length of a golf course. On average, this should cover a few miles. When a golf cart battery is at its peak, it should easily be able to cover seven miles without needing to be recharged. No game of golf should be interrupted by a dying battery. If you notice batteries starting to weaken after those first nine holes, you need to check out your battery. The last thing you want is for your cart to die before you can get it back to the clubhouse. Golf carts are heavy and pushing one up a hill won’t be an option. When you see a sign of trouble, consider turning back and calling it quits for the day. You’re better off interrupting a game and moving your tee times back than having yourself or other golfers be stranded halfway through the course. When you hit the gas on an electric cart or a golf cart, you expect it to start whizzing off fast. It should move gently when you softly press the pedal, but it should be able to hit top speeds when it’s down. When batteries start to lose their strength, they’ll take longer to accelerate and might not reach the speeds you want at all. They’ll dive in acceleration and maybe have difficulty climbing hills. If you’re not getting the power you need when you expect it, it might be time to switch out your batteries. A cart that’s fully charged should get you across the greens and over hills without any trouble at all. When issues arise, they’ll likely be more than one problem. Batteries that are still relatively new shouldn’t be showing you signs of slowing down. If you see issues this soon, look for visual evidence. Batteries that are having issues will bulge, expand, or even show cracks. When this happens, handle them with care and also wear gloves. Batteries that have corrosion on top or along the sides will need to be cleaned or even replaced. Battery corrosion can cause connections to be spotty. If you notice that when you hit a bump, you lose or gain power, clean off your battery. Batteries can even leak acid when they have signs of deterioration. Leaking acid can be dangerous or also damage your property. To best protect your batteries, make an effort to wipe down golf cart batteries every month or so. Get a brush for cleaning off corrosion and rags for wiping off leaking acid. If you see leaking acid, remove the battery immediately and replace it. Dispose of your battery carefully as lead-acid batteries can be an environmental hazard. If you’re charging your batteries when they’re super low or about to die, you might find that they’ll need replacing more often. When you drain your golf cart batteries or leave them near empty before you charge them, you risk doing damage to them. Letting them die over and over can be as bad as overcharging them. Every kind of battery has its limitations when it comes to how much it should ideally be charged and drained. Follow the manufacturer’s regulations to ensure that you treat your batteries. If your carts have radios, lights, or any additional electrical components, they shouldn’t be on when the cart isn’t operating. Just like driving a car, electrical components can take a lot of energy from your battery when the whole engine isn’t running. 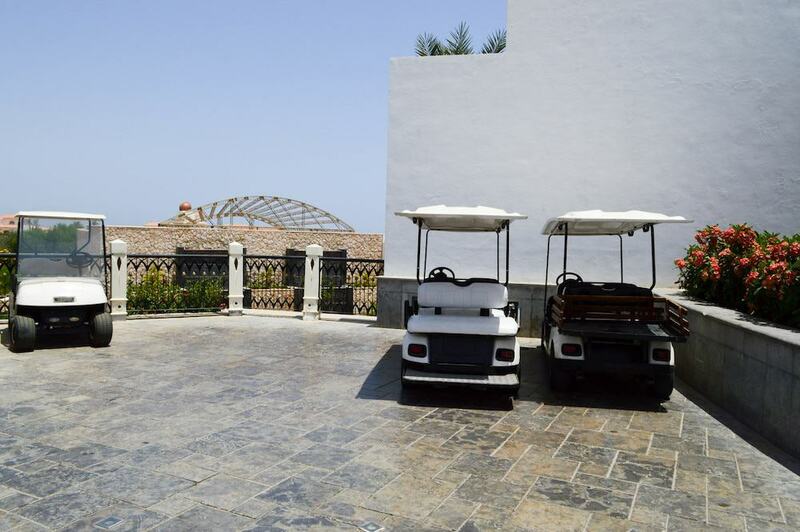 If you have petrol-powered carts, you’ll have to jump-start them to get them running after the battery is dead. This situation is less than ideal for any fleet of carts. Remind anyone driving your cart that they should never run electrical components when the cart is turned off. When its time to replace your golf cart batteries, you need to make sure that you replace them with a high-quality option. Knowing what the best batteries are for a golf cart can require research an understanding of the basics of rechargeable batteries. Check out our guide for maintaining battery life for an overview of the basics of electric vehicle batteries. It is no secret that German auto manufacturer giants Volkswagen are committed to electric vehicles. After all, market forces and increased pressure from governments on hot environmental topics are indicators that all-electric is indeed the future. However, never before have VW made such a bold statement in support of this movement. Earlier this month, Volkswagen Group placed an order for $64bn worth of lithium-ion batteries, for use in its growing range of electric vehicles. This number was more than double the expected value of the order and represents something approaching the market value of EV pioneers, Tesla. This purchase is a massive step for Volkswagen, although perhaps not an unexpected one. The manufacturers have been obvious on their plans for the EV market, and have demonstrated their intent to be the dominant force in Europe and across the world as the electric vehicle wave continues to gather momentum. The group’s new CEO, Herbert Diess, has been vocal in his support for electric vehicles. At Volkswagen’s General Meeting at the beginning of May, he described how the group expects to sell three million pure electric vehicles each year by 2025. Audi – one of the Volkswagen Group’s primary brands along with Porsche, Scoda, and SEAT among others – has already released their projections for 2025, and these seem to be in line with the plans of its parent group. Audi said that they aim to be selling 800,000 electric vehicles by 2025, although this figure includes projected hybrid vehicle sales. Volkswagen Group’s move is the latest in a series of exciting milestones for electric vehicles. It is not so long ago that EVs – particularly all-electric vehicles – were considered the ‘also-rans’ of the automotive world; novelty cars which were merely pale imitations of their petrol- and diesel-hungry cousins; this has changed. Automotive consumers, once preferring to pour their dollars into an internal combustion engine, are now having their heads turned by the power, efficiency, and reliability of modern all-electric vehicles. Perhaps tired of the consistent feeling of being a little ripped off at the pump, maybe recognising the need for social change in the face of global environmental issues, slowly but surely these consumers are joining the EV movement. What’s Next from VW Group? So, Volkswagen Group has shown that they are serious about taking the electric vehicle market on, and have demonstrated their long-term plans, but what does this move mean in the short term? What sort of electric vehicles will the group’s newly acquired lithium-ion batteries be powering? One of the vehicles which have already been slated for release is the Audi ‘e-tron’. The crossover sports utility vehicle will be hitting dealerships in August 2018, and it promises to be one of the paciest and rangiest vehicles in its class. A full charge will provide users with 500km of driving, while the powertrain will be able to zip the vehicle past 100kph in just over four and a half seconds, topping out at over 210kph. This performance is thanks to the economical but powerful dual-motor setup which can churn out 320kW of power and 800Nm of torque. In the electric sports utility market, only the Jaguar I-Pace can compete with this, although the upcoming Mercedes Benz EQC and BMW iX3 will have something to say about this. The Volkswagen Group of companies covers a diverse range of different vehicle classes, so it is no surprise that they are keen to be at the top of the tree in all possible markets. The Porsche Mission E is their upcoming latest entry into the sports car class, and the electric vehicle promises to push the boundaries of a dynamic field. Drivers of the Mission E can expect to hit the 100kph mark in less than 3.5 seconds as the expected 447kW motor works its magic on the vehicle’s slight frame. Some nifty engineering and a commitment to ultra-lightweight materials should push the Mission E’s range beyond even that of the Audi ‘e-tron’, although how much further remains to be seen. Porsche have also been experimenting with innovative charging technology, which is reported to be able to achieve an 80 per cent charge in only a quarter of an hour. Sports cars are not known for being practical, but perhaps this is where Porsche hopes to test the limits of what is possible. Under Volkswagen’s famous banner, the Golf hatchback looks destined to be the first of VW’s ID electric vehicles range when launched in 2020. The ID family of electric vehicles has been described as ‘extreme’ by the manufacturers and represents a conceptual shift for VW Group as they seek to cement their position at the forefront of the European electric vehicle market. Following hot on the heels of the VW Golf will be an all-electric people carrier, another SUV, and much more to excite fans of the prestigious German brand. 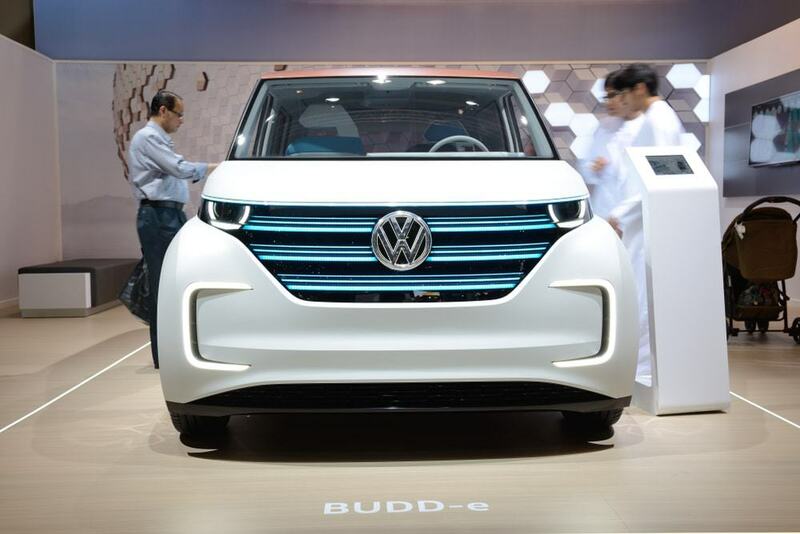 These are exciting times for the electric vehicle market, and Volkswagen’s enormous, $64bn statement of intent has done nothing to quell the flames of interest in these revolutionary auto concepts. Which of the Volkswagen Group’s upcoming models do you find most exciting? What are you expecting from the ID range? Don’t forget to let us know, and feel free to get in touch for information and guidance on the latest developments in the EV market.